This was another bus tour and the group was able to explore the remarkable architectural achievement of Le Mont St Michel and the handiwork in the eighteen inch high and two hundred and thirty foot long Bayeux Tapestry. We were able to sample the gastronomic paradise of Normandy with its cream sauces, cheeses, cider and calvados, the latter cider brandy being able to burn a hole through the stomach contents, making way for the next course. This was the home of Joan of Arc and William the Conqueror. William built two great Abbeys in Caen to appease the Pope who had not been too keen on his choice of brides. Caen also houses the Museum of Peace, which is a brilliant documentation of the devastation of the allied bombing and the Normandy landing. Having found that Belshazzar’s Feast travelled well, we performed this in both the Church of Notre-Dame in Caen and later in Paris. In the peaceful and charming seaside village of Dinard, a delightfully mixed programme included Brandenberg Concerto No 3, Mozart’s 29th Symphony and the CPE Bach Magnificat. 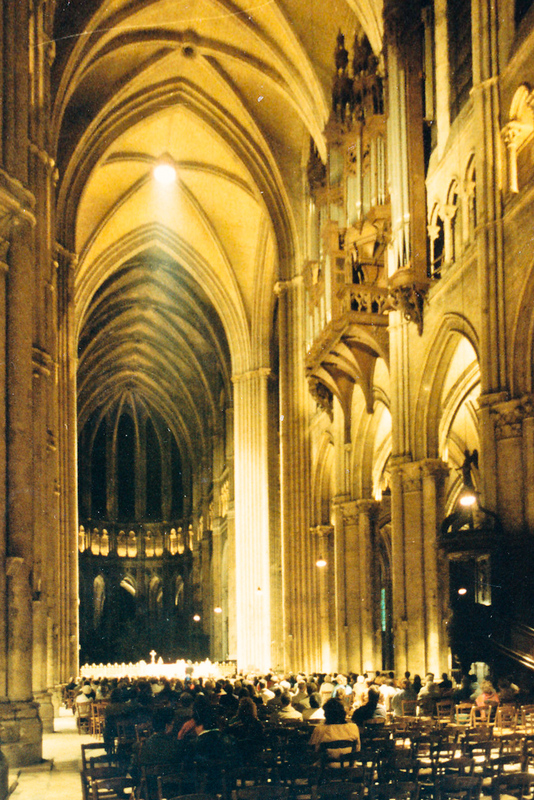 The splendour of Chartres, with its high-gothic form, is visible for many kilometres across the countryside. Its magnificent collection of stained glass provides historic documentation of the everyday life, as well as the theological and philosophical activities of the greatest scholastic school in Mediaeval Europe. 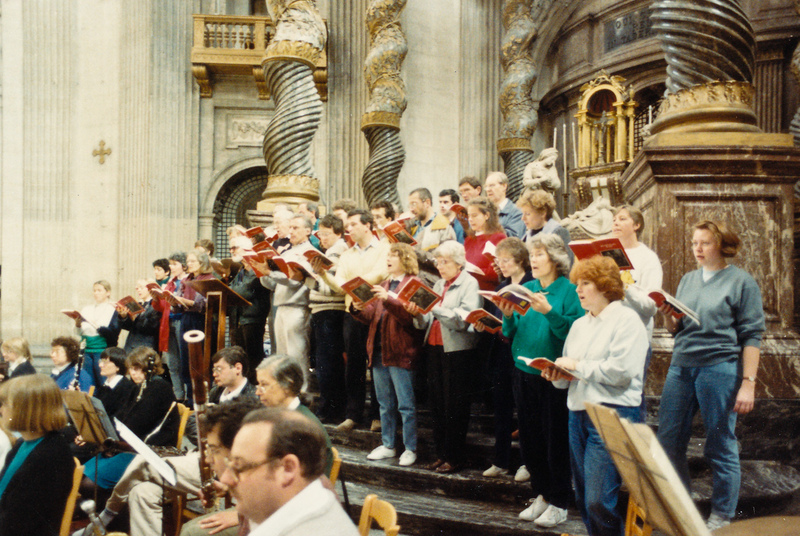 Our programme was all Mozart, the Cathedral providing a magnificent setting for the Requiem. The final concert of the tour was in the Chapel du Val de Grace; the ambience of the beautiful chapel paralleled the importance of the surrounding buildings in France’s national heritage.